Any home cook worth their salt knows that a good sauce can turn a mediocre dish into a star. It’s how the chefs do it in the restaurants, right? But we’ve all also heard the stories about stocks simmering for days and sauces reducing for hours in those same kitchens. 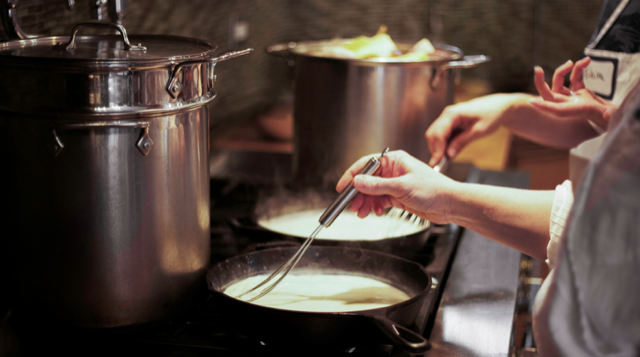 So how does a home cook achieve the same restaurant-quality sauces at home? The Chopping Block’s new How to Make Great Sauces shows you! You may have heard the term “mother sauce” come up on an episode of Iron Chef or in an interview with a famous chef. This term refers to one of the five classic French sauces, the building blocks for many other dishes, named by French Chef Auguste Escoffier in the early twentieth century. They include Béchamel, Espagnole, Velouté, Tomato and Hollandaise. Since then, Mayonnaise has been added to the list. 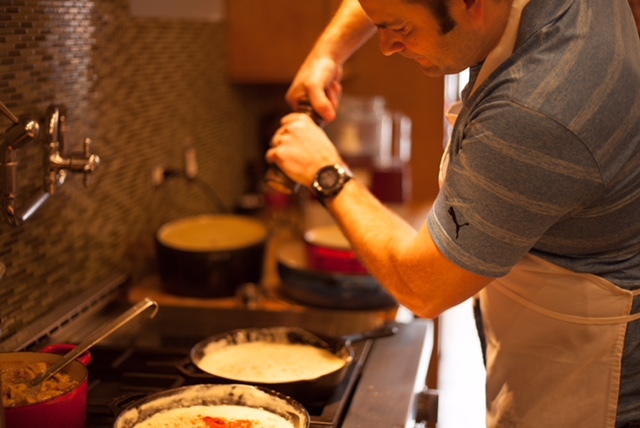 One of the important techniques we cover in the guide is how to make a pan sauce. 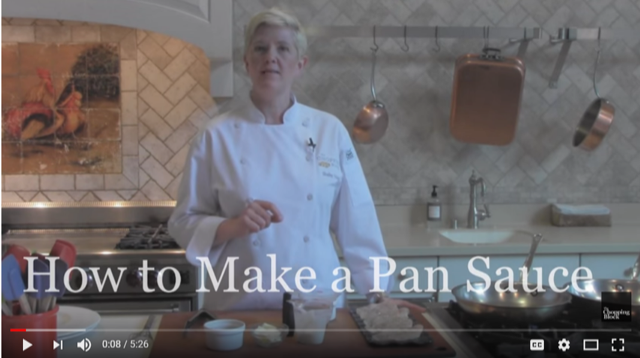 Our Owner/Chef Shelley Young demonstrates two versions in this video. Pan sauces are convenient because they are prepared in the pan which was used to sauté the main course. It is simple to create a sauce that is quick, flavorful and very impressive. Examples of dishes that involve pan sauces (often referred to as reduction sauces) include veal or chicken piccata, marsala, or saltimbocca, steak au poivre, and fish with an herb cream sauce. Because the sauce is made in a wide sauté pan with a large surface area, it will reduce and thicken quickly as the water evaporates. For more how-to help with sauces, download our free How to Make Great Sauces. and additional resources to get you started with sauce-making at home.